The BMW X1 is offered in only one trim for 2019. The sDrive28i is the front-wheel drive while appending an x at front of the model number indicates that X1's been equipped with optional all-wheel drive. The engine is a 2.0L 4-cylinder turbocharged unit that makes 228 horsepower and 258 pound-feet of torque, mated to an 8-speed automatic. The combination is claimed to be good for 0-60 mph sprints in the low 6-second range. Thanks to turbocharging and a relatively light vehicle, fuel economy is respectable for the segment, with an EPA estimate of 26 combined mpg in the sDrive28i. Standard equipment levels are quite generous on the BMW X1, though there are still plenty of options and packages available to further enhance the vehicle. Highlights on the standard equipment list include power front seats, a leather-wrapped steering wheel with audio and cruise control functions, a 7-speaker stereo, electronically adjustable heated exterior mirrors, rain-sensing wipers, automatic headlights, dynamic cruise control, 18-inch wheels and tires, a 6.5-inch monitor, fog lamps, an automatic tailgate and an alarm. Option packages include the M Sport package, which highlights the sportiness of the X1, as well as a Premium Package, which adds an extra level of luxury. The M Sport package includes updates to the transmission, including steering wheel mounted paddle shifters, sportier seats, a sportier steering wheel and stiffer suspension for better handling. The Premium package offers access to full LED headlights and huge panoramic moonroof. Options on the BMW X1 are plentiful. Buyers willing to upgrade from the 6.5-inch screen to an 8.8-inch screen will also get access to BMW apps and real time traffic updates. The navigation system has a heads-up display function, allowing it to project data directly onto the windshield. 19-inch wheels make the car look lower and meaner, while a Harman/Kardon stereo system includes 12 speakers and 360 watts of sound. The 2019 BMW X1 remains mostly unchanged aside some welcome safety additions this year. Active cruise control, park distance control, a Lane Departure Warning system, automatic high beams, a front collision warning system and a rear view camera are now all standard equipment. Navigation with real-time traffic updates are also now included, as is Apple CarPlay. The BMW X1 is the least expensive vehicle in BMW's X lineup. It aims to bring buyers the utility and practicality of a small SUV with small-car dynamics and easy urban driving. 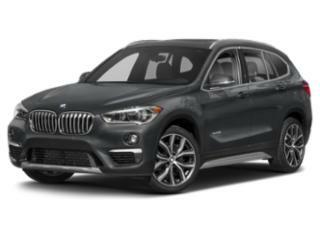 Starting at less than $35,000, the BMW X1 isn't as inexpensive as many of the vehicles in its class, but as is befitting a premium brand, standard equipment levels are high, and the X1 offers a driving experience that can't really be matched by anything in its class. The X1 offers a great combination of driving fun, interior room and smartly executed idea — ll wrapped up in a small SUV package.